Here on Saipan, there are many talented writers, poets, singers, rappers, musicians, graphic artists, photographers and videographers who are eager to profit from their passions. I always advise such potential passionpreneurs to create products (or services) to convert that passion into some physical form, so they can share the fruits of their creativity profitably with the world. If you are among that group of aspiring creators, today's column will introduce you to a valuable resource that can help you turn your passion into profit! In a previous article, "The Case for Self-Publishing, Walt's Way" [Tribune: Dec 24, 2008], I made the case that it can be—and often is—more profitable to be a self-published, print-on-demand author/publisher than to be signed to a major publishing house. Well, the game just a got a whole lot easier, and that game can be played by sellers of music and videos, too! Whether you are an individual, organization, church, school or business, what I’m about to share with you can help you easily and cost-effectively manufacture and sell your book, audio CD or video at a fraction of the cost, and a multiple of the profit of other options. 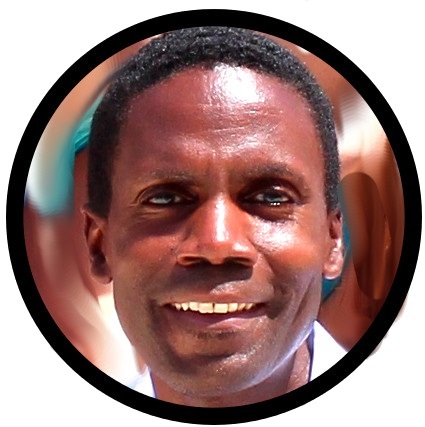 As the self-published author of 16 books, I always have my eyes open for better, faster and more cost-effective strategies for maximizing profits on book sales. So, when a friend recommended I take a look at Createspace™, a relatively new option for print-on-demand publishing and fulfillment for books, audio CDs and videos, I was open, even though I was happy with my then current printer. The main reason I got very excited about Createspace™ was that I saw it would significantly boost profits on sales through the Amazon.com website. Let me explain. Let's say your book sells for $14.95 retail. When Amazon orders a single copy of your book for their inventory, they—like most wholesalers—will pay you 45% of the retail, that's $6.73. Now, the printing cost for your 14.95 book (let’s assume a page count of 200 pages) might be about $3.85. Some printers may charge an additional per-book “set-up” charge of, say, $1.50 and shipping charge of about $3.79. Therefore, the total cost to manufacture AND ship your book to Amazon for them to sell to their customer is $9.14. In other words, you would spend $9.14 and earn only $6.73. In still other words, you LOSE $2.41! In such a scenario, however, you would break even if Amazon ordered 2 copies, and you would finally start to make a PROFIT if they ordered 3 copies or more—and they would if you asked them to—but that profit would be very small. Now, however, with Createspace™ doing the printing and automatic fulfillment for Amazon orders (remember, they are essentially now the same company), it's like having Amazon print and fulfill the book orders through their site. You can now make a per copy "royalty" of $5.77! (You can visit the site and crunch the numbers yourself) So, NOW, on an order of a single copy of your title, you can go from LOSING $2.41 to EARNING $5.77! But, that’s not all, there are other benefits as well. No need to manually fulfill Amazon Advantage® orders. With Createspace™ automatically fulfilling orders for Amazon sales, you can free up more of your time to focus on promoting your book, cd or video. No more "Out of Stock" notices on your title. With Createspace doing the fulfillment, your title is always "In Stock." Before, if there happened to be zero copies in Amazon's inventory, a customer might place an order (provided they didn't get turned off by seeing "out of stock" in the listing), Amazon would notify you, then you’d have to print and send the order to Amazon’s warehouse, which would then send the order to the customer. Now, it all happens seamlessly without your involvement. Being part of Amazon’s distribution system, Createspace can offer lower shipping costs for you and your customers. As of this writing, you can upload the MP3 files and graphics for your CD, and have a proof (cd, jewel case, inserts and printing on the Cd) sent to you in a few days at absolutely no charge! It's a special promotion the duration of which has not been specified. So, now, all you Saipan singers have absolutely no excuse for not releasing your music! It’s practically free! After submitting a title for publishing or duplication, the review process to approve the submission is amazingly fast! I often upload a PDF or mp3 file and get a response the same day! If you’re already self-published and part of the Advantage® program, the transition from Advantage® to Createspace™ is fast and seamless. It could simply be normal variations in printers, but the color of the CreateSpace™ edition of the books I’ve since printed is darker and richer than before. For the book printing, the paper being used is also a bit thicker. The CDs are beautifully printed, and professionally duplicated. Your customers will be happy. And…..get ready….they ship to Saipan! ….on time! Createspace™ ships to Saipan for the same shipping cost as anywhere in the continental US—AND, they do it rather quickly! The books, CDs and videos show up exactly when (and sometimes before) they estimate they will. Those of us who live way out here on this Pacific island have become accustomed to delays in shipping. This is like icing on the cake! The main advantage of print-on-demand printers, as the name implies, is that you no longer have to print 500 or 1000 copies of your book, CD or video in order to get a good unit cost. For roughly the same cost, you can now print individual copies whenever there is a demand. Again, no more excuses! This move makes sense for a self-published author, musician, producer, for a few good reasons. First, people are going to order from Amazon anyway. Since launching my business on the web in 1997, I’ve noticed that when it comes to book purchases, people are opting to go to Amazon, rather than order directly from my individual publisher sites. In fact, prospective customers will even visit my site, get the information they need, then order from Amazon. So, if that's going to happen anyway, then it makes sense to maximize the profit from the Amazon sales channel, and have Amazon (through Createspace™) print and deliver the orders THEIR customers are purchasing. Second, for self-published authors who don't have the resources to print thousands of copies of your book, CD or video, it makes sense to (essentially) have Amazon print and deliver the products that YOUR customers are ordering, too. As a print-on-demand company, they will manufacturer just the number you wish to have on hand in order to fulfill local orders. You simply log in to your Creatspace™ account, print the number of copies you wish, and instruct Createspace™ to send them to you or your customers anywhere in the world. 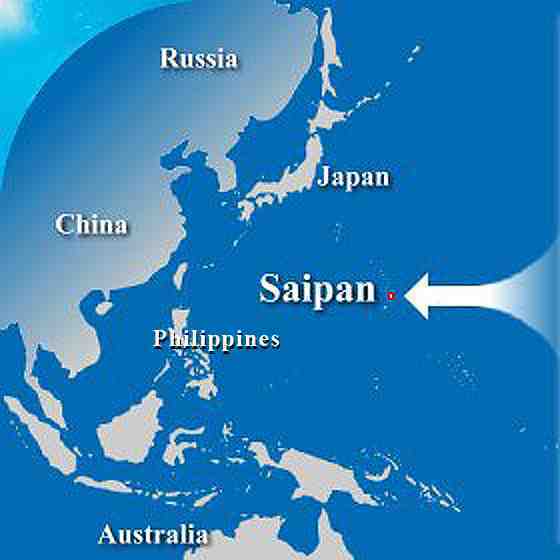 So, what does that mean for us here on Saipan? Well, with the barriers to entry and production practically eliminated, bloggers who finally want to put their thoughts into book or audio-book form, videographers with fantastic scuba diving or tourist-friendly images of Saipan to share with the world, singers with music in their hearts, writers with stories of the ups and downs of life in paradise to tell, charity groups, volunteer organizations, schools and churches seeking ways to raise funds, can all use Createspace™ to encourage creativity, and create products to sell to increase streams of income, and have something tangible to share with the world. And, who knows what good things all this might lead to with more books, CDs and videos from, for, and about Saipan, Tinian and Rota circulating in the market?